Dishes to Pair with your Bubbly this New Year's Eve! New Year's Eve is upon us and if you need any last minute dishes to pair with your bubbly, The Glamorous Gourmet is here to help! Champagne and sparkling wines pair remarkably well with a variety of cuisines and are often underestimated as "food wines". From grilled fish to spicy Thai dishes, a sparkler's versatility has you covered! Here are a few pairings that are sure to delight your palate as you ring in 2012. 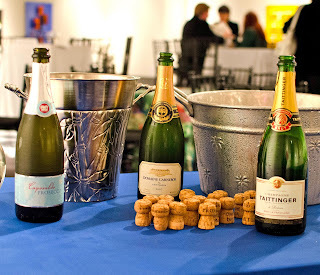 As I mentioned in my last post, Champagne and sparkling wines done in a Brut style appeal to a variety of palates - it's actually hard not to like them! These sparklers make a fabulous aperitif and pair deliciously with a variety of hors d'oeuvres including one of my personal favorites, Roasted Fingerling Potatoes with Creme Fraiche and Caviar. The acidity of the sparkling wine complements the brininess of the caviar and is a nice foil for the creaminess of the creme fraiche - yum! A Rosé Champagne or Sparkling wine brings a lovely pink color to the party as well as more pronounced berry and fruit flavors. Many Rosés can stand up nicely to "bigger" dishes including lobster, swordfish or even roasted duck. 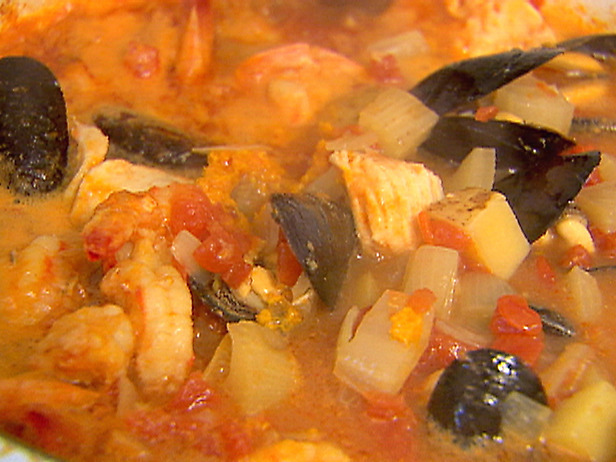 I really enjoy pairing a Rosé sparkler with this delicious Seafood Stew. Chock full of shrimp, mussels and fish in a tomato-based broth, this dish is a fabulous match for all the deliciousness a Rosé sparkler has to offer. For dessert, pair a sparkler with a little sweetness to it, like a Demi-Sec or Sec, with a Pear Clafouti for a guaranteed crowd pleaser! This lightly sweet, delicious dessert lights up when complemented by a sparkling wine with similar characteristics. Please don't shy away from the sweetness of the bubbly! 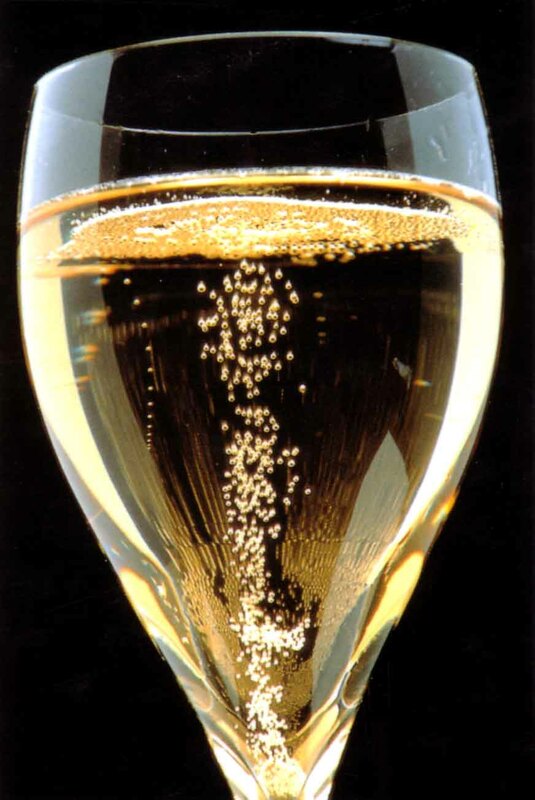 Even with a bit of sugar, sparkling wine still retains its hallmark acidity that balances everything nicely. I am a big fan of offering a dessert wine to your guests in general, it's such a nice touch and such an underappreciated segment of the wine world. Your friends will surely think you're a Glamorous Gourmet when you utter, "Demi-Sec, Anyone?" I really hope you enjoy these pairings! These are some of my favorites and I'm very happy to share them with you. I hope you've enjoyed Champagne Week on The Glamorous Gourmet and I'd like to wish you all a wonderful and delicious New Year. Looking forward to lots more food and wine fun in 2012! Find the Champagne that's Right for You this New Year's Eve! Rather than running into the wine store and grabbing the same bottle of Champagne you always do, why not find a bottle based on characteristics you actually like? The complicated terminology associated with Champagne can be daunting but as a recently appointed "Wine Location Specialist" of the Champagne region (through the Center for Wine Origins and CIVC), I'm happy to share with you some quick tips to get you through your New Year's purchases in a snap. The term Champagne refers only to the divine sparkling wine from the Champagne region of France. Champagne's unique terroir produces wines that cannot be replicated anywhere else in the world. Even sparkling wines that come from other areas of France are given different names based on where they are from (i.e. Cremant d'Alsace). While Champagne is a sparkling wine, not all sparkling wines are Champagne and most countries around the world have their own interpretation. These include Prosecco from Italy, Cava from Spain and Sekt from Germany to name a few. Blanc de Blancs: This Champagne is made from 100% Chardonnay grapes. These wines are creamy and elegant with a lighter body than Champagne made using red grape varieties. Blanc de Noirs: This Champagne is made exclusively from red grapes. These wines are clear in color and are richer in body with flavors of cherry and red fruits. Rosé: As the name implies, this Champagne has a lovely pink color, usually as a result of blending in some red wine to create the beautiful color. These wines generally have tart, berry-like flavors. Non-vintage vs. Vintage: Non-vintage blends are more common and represent over 90% of Champagne production; they reflect the "house style" of the producer. 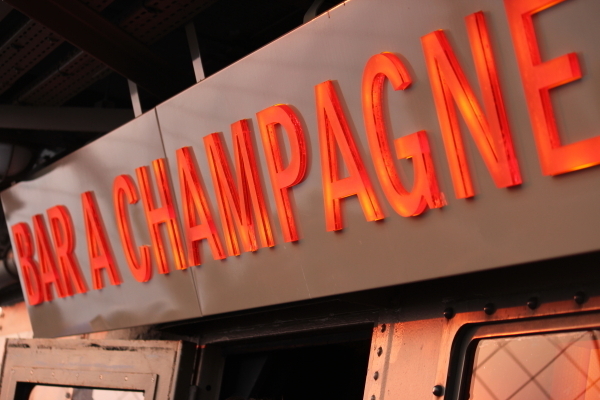 Vintage Champagnes are only produced in the best years with 100% of the wines originating from the vintage specified. They are naturally rarer than the NV offerings and are usually more expensive. Prestige Cuvée or Tete de Cuvée: These Champagnes represent the highest expression of the Champagne House and include their most prized wines. They are almost always the product of Grand Cru vineyards and are aged much longer than the 3-year minimum for Vintage Champagnes. They are usually quite expensive and include such well-known names as Moet & Chandon's Dom Perignon, Champagne Louis Roederer's Cristal and Taittinger's Comtes de Champagne. If you really want to kick it up a notch this New Year's Eve, these are the bottles for you! Late Disgorged: a style of Vintage Champagne similar in quality to the Prestige Cuvée, but which spends extra time aging on the yeast prior to release. They can be decades old and represent a special dedication on the part of the Champagne house to produce them. Store Champagne under 60 degrees Fahrenheit to ensure it stability but do not keep it in the refrigerator for long periods of time! The best serving temperature for most Champagne is 40-45 degrees F; however, older vintages or Prestige Cuvées are probably most enjoyable closer to 50 degrees. Refrigerate your Champagne at least 3 hours but not longer than a day or so prior to serving. After pouring, keep the bottle on ice to retain the Champagne's chill for as long as possible. Serve in a tulip shaped flute or glass to preserve the wine's sparkle and aromas. I hope these tips help you pick the Champagne that's right for you this New Year's Eve! Stay tuned for some delicious dishes to pair with your bubbly and if you need tips on creating your very own Champagne Bar at home, click here! Create your own Champagne Bar at Home this New Year's Eve! 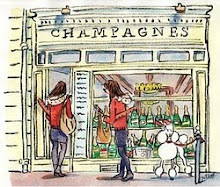 With New Year's Eve a few days away, I have visions of Champagne bubbles dancing in my head! While I am a fan of bubbly for everyday use, the classic time of year for fizz is definitely New Year's Eve. If you're looking for creative ways to include sparkling wine into your New Year's celebration, look no further. This week I'll be posting ideas on how best to enjoy them in the comfort of your own home. Instead of running out to your local Champagne Bar to ring in the New Year, why not create one at home? Purchase Champagne (for recommendations click here) and serve with some creative mixers and garnishes to keep it interactive and fun. For mixers, liqueurs like Chambord and St. Germain make excellent choices while pomegranate juice adds a festive pop of color. Select garnishes like ruby-red pomegranate seeds, decorative lemon twists, fresh raspberries, strawberries and even candied ginger for some interesting flavor and color combinations. If children will be in attendance, they can enjoy there own Bubbly Bar featuring non-alcoholic sparkling cider or grape juice with mixers including pomegranate juice, peach nectar, and orange juice. They can also have fun garnishing with whimsical option like gummy bears, pop rocks or, to keep it healthy, fresh raspberries, strawberries or sliced grapes. 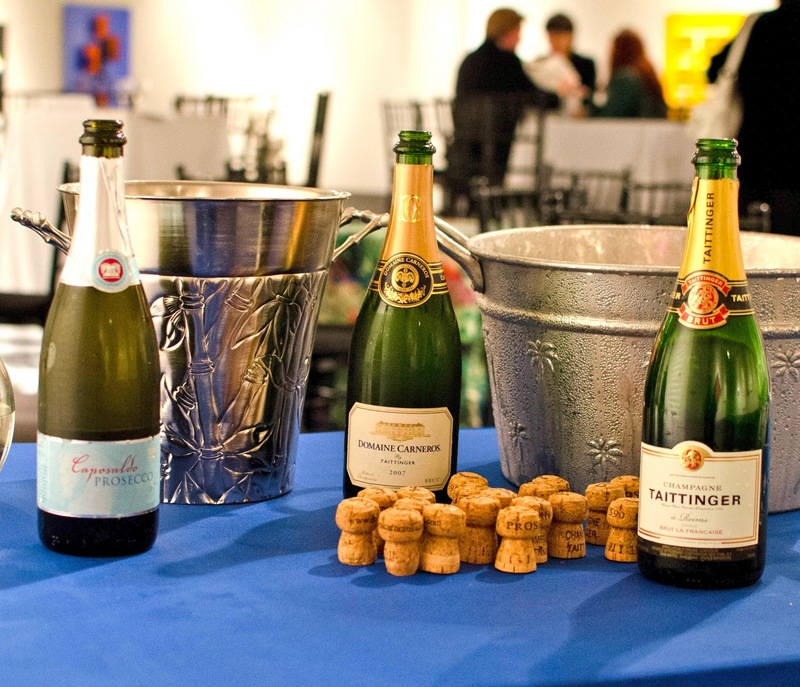 Have fun and get creative with your very own Champagne Bar this year! It's a great way to ring in the New Year with friends and family at home. From the Christmas Kitchen: Rosemary Cashews! Looking for the perfect hors d'oeuvres for guests to nibble while they await your fabulous holiday feast? 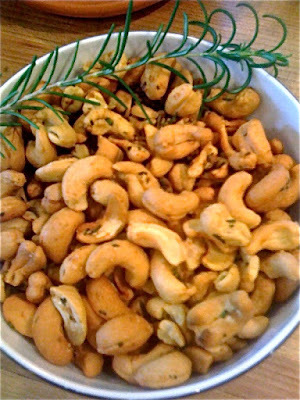 Try these delicious Rosemary Cashews from one of my favorite cookbooks of all time, Barefoot in Paris by Ina Garten, The Barefoot Contessa. Inspired by the bar nuts served at Union Square Cafe in New York City, these delicious, savory cashews are perfect for holiday entertaining. They are insanely tasty, take under ten minutes to make and can be made the day ahead and kept in an airtight container. They will pique your guests' palates without filling them up and, coincidentally, pair beautifully with a festive glass of Champagne. I must caution you though, they are extremely addictive so only make them when you have a houseful of people coming over so you don't eat them all yourself. Trust me, I speak from experience! I hope you and your guests enjoy these ever-so tasty Rosemary Cashews and I'd like to wish you all a very Happy and Delicious Holidays! Colin Cowie's Tips for Stress-Free Holiday Entertaining! If you like the idea of enjoying your own holiday party, check out Colin Cowie's fabulous tips for Stress-Free Holiday Entertaining! Holiday Sparklers: Sparkling Wine Recommendations for the Season! 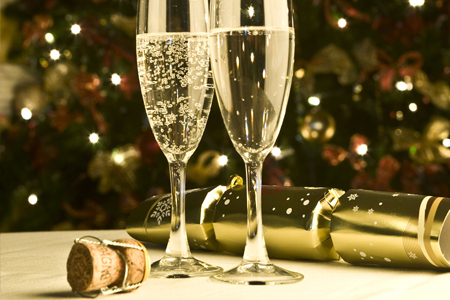 With Christmas and New Year's Eve right around the corner, it's prime time for sparkling wine! 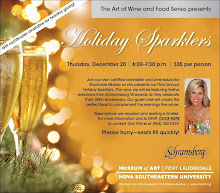 Last Thursday marked our second annual "Holiday Sparklers" wine tasting event at the Museum of Art Fort Lauderdale. Guests sampled sparkling wines from around the globe paired with delicious dishes created by Chef Lenore Nolan-Ryan. I chose these sparklers because, while I enjoy pairing wine with food, I also like to consider the occasion as well. Whether it's a casual evening at home or a formal holiday dinner, these wines represent a variety of price points with a selection to suit just about any occasion. I hope you find time to enjoy some sparkling wine this holiday season. Whether it's a low key evening at home, holiday dinner party or a New Year's Eve bash, there's always a sparkling wine to suit your needs (trust me, I've done the legwork!). Also, a big thank you to all who attended our "Holiday Sparklers" event at the Museum of Art. It was such a fun evening with lots of wonderful conversation; I always enjoy exploring the world of wine with you. Thank you for your continued support throughout the year and I look forward to seeing you for more food and wine fun in 2012!